We’ve found great deals at 84 hotels! The Hotel Brilliant (Bolai Jiudian) is in the center of Shishi city. It's a modern deluxe business hotel, providing such amenities as Internet access, coffee bar and non-smoking rooms. In addition, there is a large-scale function hall, offering plenty of business facilities or entertainment options for social events. International travelers will appreciate the available use of international credit cards, currency exchange and ticket booking services. Located in the administrative and commercial center of Shishi, the Aile Crown Holiday Hotel (Shishi Aile Huangguan Jiari Jiudian) offers guests a convenient base for business and leisure. This hotel houses a variety of well-equipped rooms ranging from superior rooms to executive suites, all with city view. The on-site restaurant serves Chinese, Western and Japanese dishes as well as buffets. Chinese fare includes Minnan and Cantonese dishes. Guests can also find a variety of snacks and drinks in the lobby bar. Business travelers will find several conference rooms for business and social functions. Guests looking for a little diversion can burn calories off in the gym, unwind in the sauna, play chess in the chess room, enjoy a cup of tea at the teahouse, take a cigar in the wine bar, or go shopping in the store. 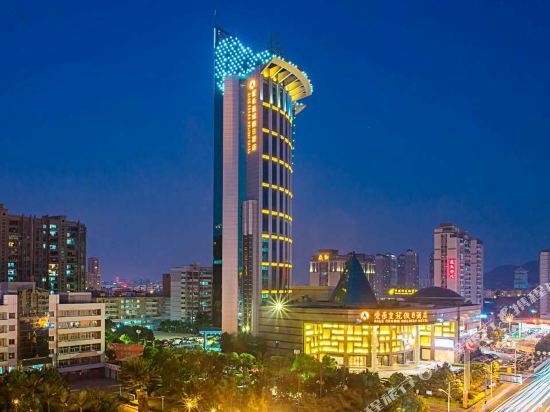 The Shishi Wanjia International Hotel (Shishi Wanjia Guoji Jiudian) is conveniently located in close proximity to Shishi Clothing City and the long-distance bus station. This luxury hotel combines classic Oriental and European styles, with a variety of rooms available at the guest's disposal. 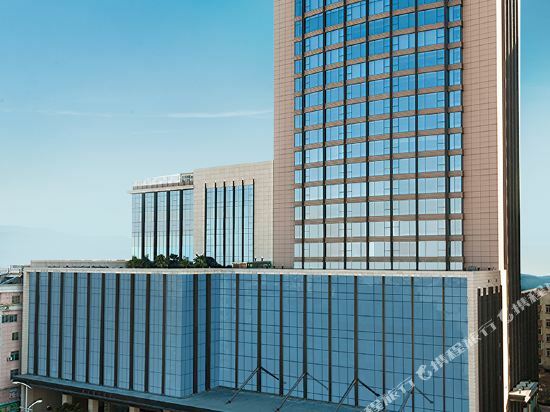 Other amenities include a gym, spa, sauna, swimming pool, shopping center, business center, function room, banquet hall and on-site restaurant. There are also 70 private karaoke rooms available for you to sing in. 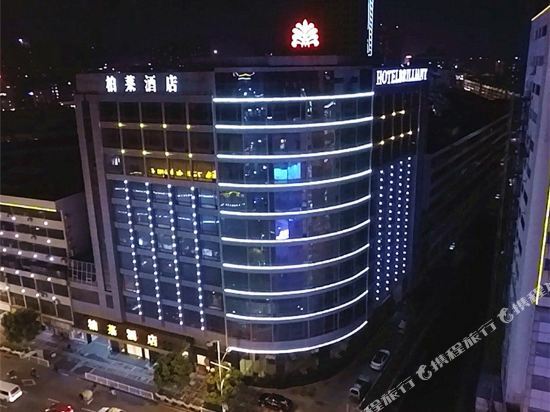 The Jianming International Hotel (Jianming Guoji Dajiudian) is a five-star hotel located in Fengli, which is famous for its children's garment making. The city center is a 15 minute walk away and the Jinjiang Airport is only 8 km away (4.97 mi). Built with Roman-style architecture style, this Shishi hotel offers guestrooms equipped with all the standard amenities plus international direct dial phones, safes, mini-bars and refrigerators. Chinese, Japanese and Western cuisines are on offer. Also, a café, lobby bar and teahouse are available for guests. Business travelers can make use of the hotel's business center and meeting facilities. There are a number of recreational options available, including a night club, spa, sauna, gym, indoor swimming pool and game room. 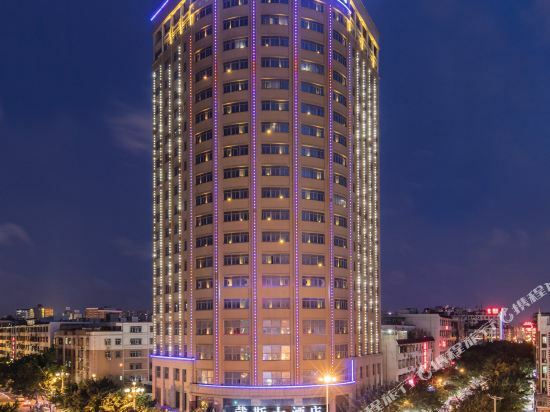 Situated in the business district, the Lvdao International Hotel (Lvdao Guoji Jiudian) is a 20-minute drive from Jinjiang Airport. Quanzhou Railway Station is 40 km (25 mi) away. Rooms range from Deluxe Rooms to Continental Premier Suites and are equipped with standard amenities as well as mini bars, in-room safes and Wi-Fi Internet access. Dining choices on the premises include Chinese and Western restaurants, a coffee shop, a tea house and various bars. This complex offers well-appointed meeting rooms and a function hall for guests to conduct any of their work-related affairs. Guests with time for fun can enjoy a game of table tennis or break a sweat in the fitness center. There is also billiards, massage services and a sauna at guests' disposal. There are many discounted hotels on Trip.com. If you want to stay at the best hotel in Shishi, Trip.com is here to help! In Shishi, both areas with attractions and the city center are good places to stay. You can plan a one or two day trip to Shishi. Other than just visiting Shishi, you can also visit surrounding cities such as Jinjiang, Quanzhou, Nan'an, etc. for a couple of days. Though there is no civilian airport, it's still easy to take a bus or train to reach Shishi. Visitors often choose to travel to Shishi by bus. There are 31 hotels in Shishi with excellent service. The local average price is 22 USD per night. There are a variety of hotels to meet the needs of different types of travelers. There are 4 five-star hotels in Shishi at an average price of 50 USD per night. 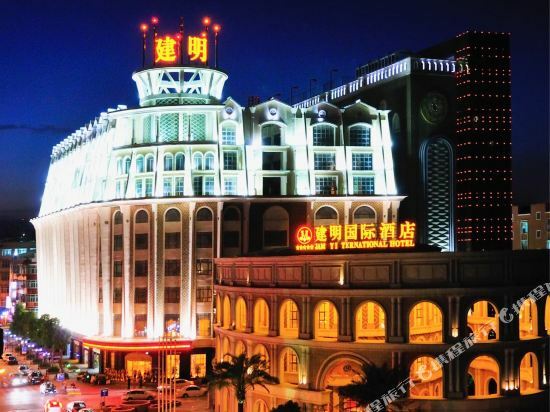 There are 12 four-star hotels in Shishi at an average price of 22 USD per night. There are 12 three-star hotels in Shishi at an average price of 17 USD per night. There are 3 two-star hotels in Shishi at an average price of 14 USD per night. There are many well-known chain hotels in Shishi. In Shishi, there are hotels under the Days Inn brand. Travelers who favor this brand can choose to stay there to enjoy the luxury services provided by Days Inn. Days Inn is the top choice of many travelers in Shishi. 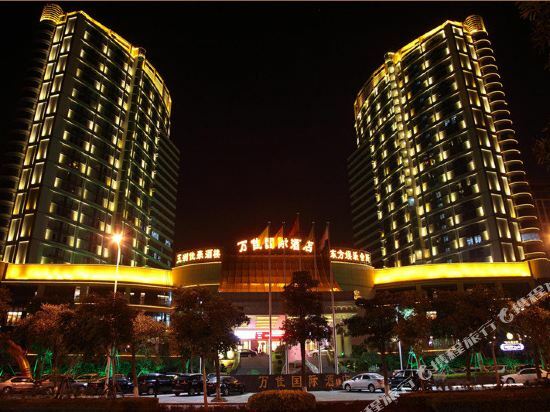 Shishi Wanjia International Hotel is one of the most popular hotels in Shishi. Many tourists also stay at Jianming International Hotel. You can choose attractions in Shishi that are perfect for a weekend getaway, such as Liusheng Tower. If you're interested in museums and cultural landmarks, it's recommended to visit Shishi Museum. There are quite a few parks like Shishi Xiyang Park (Southeast Gate), Jinshang Central Park, Hanjiang Cultural Park, all of which are great places to relax and spend time with friends and family. Upon departure, you can head to popular commercial areas like Fufeng Shopping Mall to buy souvenirs or travel accessories. Shishi hotel information & deal: Check out room rates, photos, a map and reviews of hotels in Shishi and find the best deals on Shishi hotels. Trip.com offers big savings on online reservations for Shishi accommodation. Book Shishi vacation packages and Shishi tours with huge discounts on Trip.com!